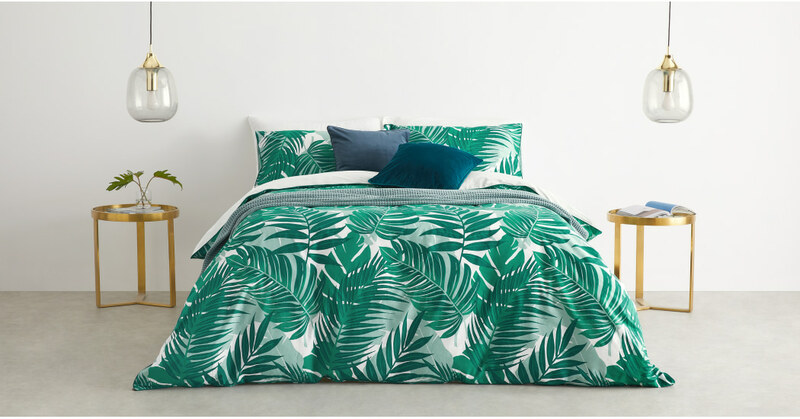 Update your bedroom with a luscious, leafy vibe. Jangala has the tropical flair of a palm house or conservatory, in bright, rich colours. Jangala’s digital print gives a strikingly sharp image. While a plain reverse and tonal green piped edge are ideal for when you’re feeling classic. Fresh foliage textures bring the outdoors into your space. The leafy pattern has a high end vibe, without the high end price tag.